Why is it a big surprise to Brussels that Russia will stop gas transit via Ukraine? It is better for comparison to start with considering surprises caused by natural disasters. Perhaps this is what it is the most difficult to predict and to prevent. As you may know, all over the world considerable resources are spent on current monitoring and assessment of the impact of various natural hazards on energy markets, from a sharp drop in temperature in winter to a catastrophic earthquake and tsunami that could radically change the concept of energy development of entire countries. So as it happened in Japan after the Fukushima nuclear disaster. However, it is not always possible to avoid the consequences. In January severe storms in the North Sea caused a nasty surprise - three major gas fields were shutdown facing a high danger of short circuit in power supply. Statoil was forced to stop production at the largest gas field Troll, which accounts for 60% of all gas on the Norwegian shelf. Production outages triggered by bad weather resulted in a sharp drop of about 40 percent in Norway's gas exports. Obviously, it is impossible to foresee these kind of surprises. Nowadays in the 21st Century climate change and political tensions are having significant implications on the energy market. Nevertheless, often the events taking place in this area, firstly, are not always, and, secondly, are not so straightforward perceived by everybody as something extraordinary. In general, there is a common opinion now that it is hard to find any big surprise for us. Arguably, the cancellation of the South Stream gas pipeline project became a real sensation. Many observers and experts noticed that President Vladimir Putin's decision to abandon the South Stream announced on December 1 actually stumped politicians in Brussels. There were no clear comments of the EU leaders even on the next day. The arguments appeared later that Russia allegedly was required to negotiate for many weeks in order to denounce the interstate agreements on the construction of the pipeline. Although for everyone who had ever followed just a bit of the South Stream project development, it was obvious that because of a growing political pressure from Brussels and Washington Bulgaria would never give permission for the construction, and therefore further implementation of the project would be impossible. Maybe then, for somebody it was a real surprise. However, interpreting the well-known saying "Sawing off the branch they're sitting," we can point out that in this case the surprise was that partly sawed off branch collapsed at UNPREDICTABLE TIME, but it was not the fact of the collapse itself. In other words, it is unlikely a surprise that the project, which had been "sawed off" so diligently for several years, collapsed. Europe should be much more surprised if the project somehow would hold out under such conditions, should not it? If we reject unserious versions trying to explain the expression of surprise in the reaction of European politicians, then it remains only to assume that they expressed an outwards demonstrative amazement. And indeed there was no surprise to those who deliberately and openly led the situation with the South Stream project to such an outcome. It is in the past already, in the history of the EU's relations with Russia, where in the future a separate chapter will be devoted to the unfulfilled South Stream project. It would make sense for all of us to see the hidden intrigue of this past story in order to recognize correctly what real and, especially, what alleged surprises further await the European energy market. After all, there will be still other causes yielding new surprises. The EU looked like very much surprised again when the Russian Gazprom announced its intention to redirect in the near future its natural gas transit, which goes to Europe via Ukraine. The Vice President of the European Commission, in charge of Energy Union Maroš Šefčovič was informed about it during a one-day visit to Moscow on January 14. At the meeting the head of Gazprom Alexey Miller said: "The project (South Stream – ed.) is closed. The gas pipeline Turkish Stream is the only route by which can be supplied 63 bcm of Russian gas going now while in transit through Ukraine. No other options. Our European partners informed of this, and now their task is to create necessary infrastructure from the border of Turkey and Greece". Maroš Šefčovič commented that he was “very surprised” by Alexey Miller’s statement, adding that such a decision could have a negative impact on Russia's reputation as a reliable supplier of gas. However, underlining the reliability of Russian gas supplies, Maroš Šefčovič perhaps unintentionally got directly to the point. That is it because Russia has already explained not once that the decision to build the South Stream pipeline bypassing Ukraine induced by the necessity to ensure security of gas supplies to Europe. After its cancellation, Russia again found the other route around Ukraine as "Turkish stream." Obviously there is the only one reason in this case - it is a non-decreasing political and economic instability in Ukraine, which, unfortunately, the EU could not take under international control up to now. And many of us in Europe doubt that it hardly ever would be possible. It is appropriate to recall how the supplies of natural gas to Europe were completely shut off twice in 2006 and 2009 because of a pricing dispute between Russia's Gazprom and Ukrainian gas monopoly Naftogaz. First serious dispute began in March 2005 over the price of natural gas supplied and the cost of transit. Russia claimed Ukraine was not paying for gas. At the same time Ukraine siphoned off gas from the transit pipelines which was intended to be exported to the EU. Ukrainian officials at first denied the accusation, but later admitted that transit gas was used for domestic needs. When the negotiations came to a standstill on January 1, 2006 Russia cut off all gas supplies passing through Ukraine and only on January 4, 2006 Russia and Ukraine reached a preliminary agreement, and the supplies to Europe were restored. The second shut down of gas transit to Europe via Ukraine happened in the most severe period of winter in 2009 and lasted for nearly two weeks. Because of the gas supply disruptions through Ukraine in 2009 Slovakia and a number of Balkan countries had to impose severe restrictions in gas consumption, many industrial enterprises stood still and electricity power supply was disconnected as well. Now under a catastrophic mismanagement of the country and resumption of massive hostilities in the South-East of Ukraine, neither any Kiev's promises nor encouraging words from Brussels cannot reassure in the reliability of the Ukrainian gas transit route to Europe, it does not matter who will be trying to prove it. Now let's imagine that in 2019 Russia will fulfill its intention not to renew the transit agreement with Ukraine and also will offer the EU to receive gas from other routes, primarily by the planned Turkish stream pipeline. 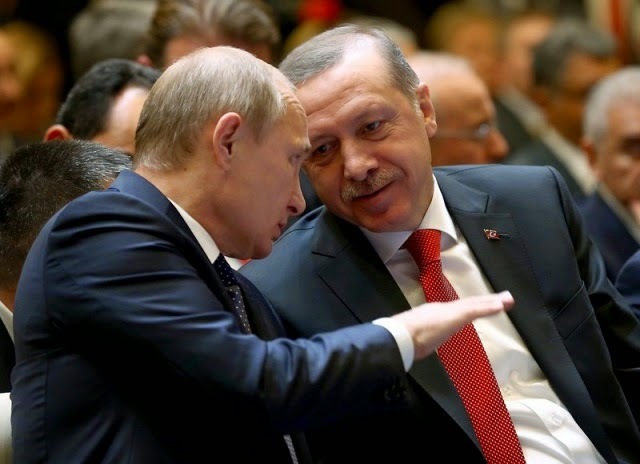 It's hardly possible to allege that the construction of Turkish Stream pipeline can result in reducing the security of supply in the EU or will somehow influence negatively on reputation of Russian gas supplier. It shouldn't be surprising that now Russia itself as a reliable supplier openly suggests taking into account in advance these future gas route changes. Ultimately, it comes as no surprise for Europe, but instead there will be the challenging task that should encourage the EU to implement the European energy security strategy with consideration of new southern routes of gas imports to the EU to be opened in the near future. As it is correctly noted in the comments published by The Economist, with all its disadvantages a perennial contention over the construction of the South Stream, as well as the recent turn of events in the direction of the Turkish stream can positively affect the integration within the European energy sector. And besides, Russia's energy policy has actually given an additional impulse to accelerate the development of the project of the Energy Union. However, the question then arises: whether all the countries in Europe are ready for such a development?